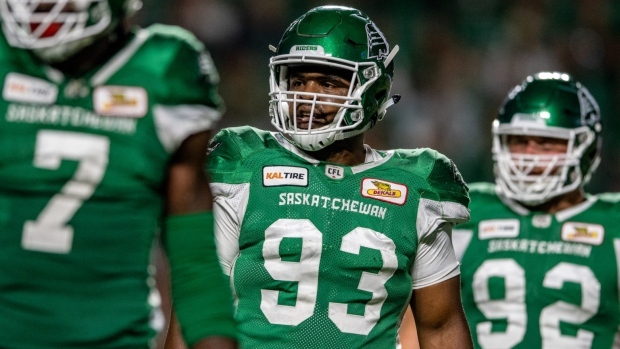 The Edmonton Eskimos announced Tuesday the club has signed international defensive lineman Mic'hael Brooks. Brooks spent last season with the Saskatchewan Roughriders, recording 11 tackles in 15 games with the team. Prior to his time in Saskatchewan, the 27-year-old spent three seasons with the BC Lions. Brooks has 98 tackles and five sacks in 54 regular season games in the CFL.